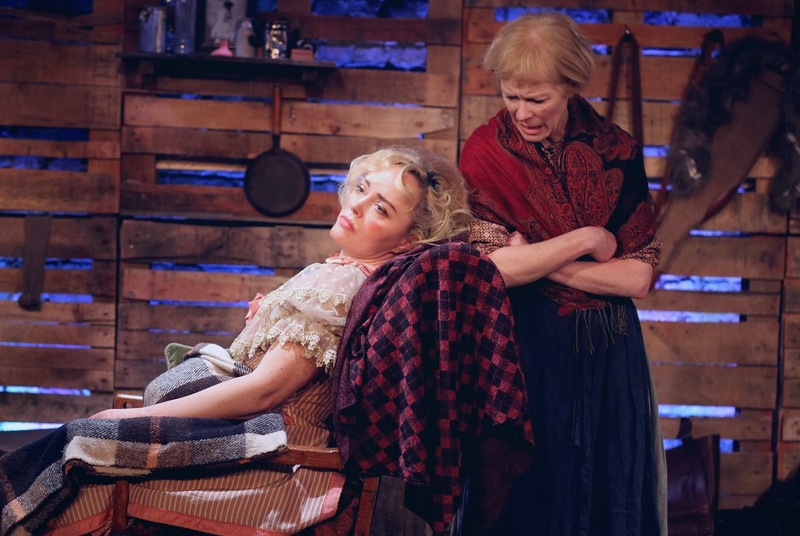 In Skagway, now playing at The Arcola Theatre is an intriguing piece about three women on the Alaskan frontier. It is the late nineteenth century and the Klondike Gold Rush is nearing its end. It is a journey to the wild west territory and well performed by the all-female cast. But you are never quite sure just how harsh and inhospitable these conditions really are. It is a pity the production did not try and take things up a notch (although the draughty conditions in the theatre appeared to be an attempt to recreate the Alaskan winter). 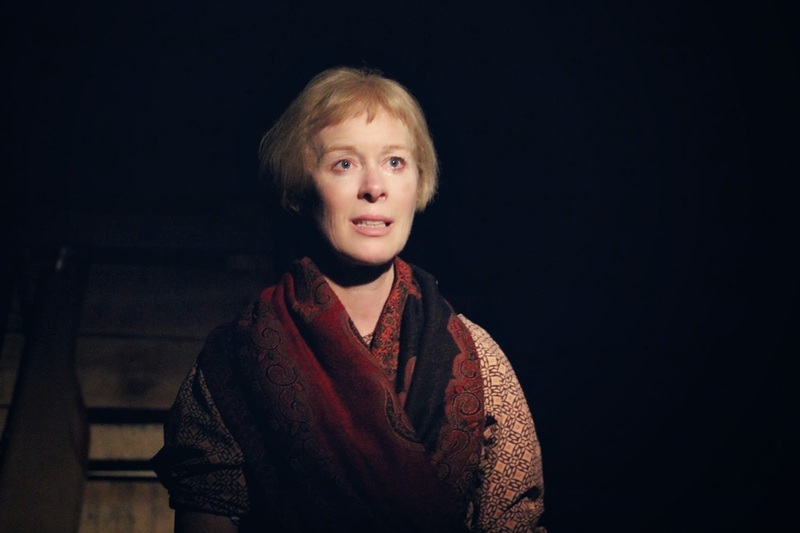 The piece focuses around Francis Harmon (played by Angeline Ball), who for years traded off her reputation as a star actress traveling from city to city gold rush towns. You get the impression her talent is more about showing off her assets than being an actress but it provides a living for her assistant May (Geraldine Alexander) and her daughter T-belle (Natasha Starkey). But by the time they reach Skagway, Francis has had a stroke and partially paralysed. T-belle becomes their source of income by going off prospecting and having some success with it thanks to her resourcefulness. However May decides to gamble to reclaim Francis's fame (and amass a fortune) using her daughter's gold. 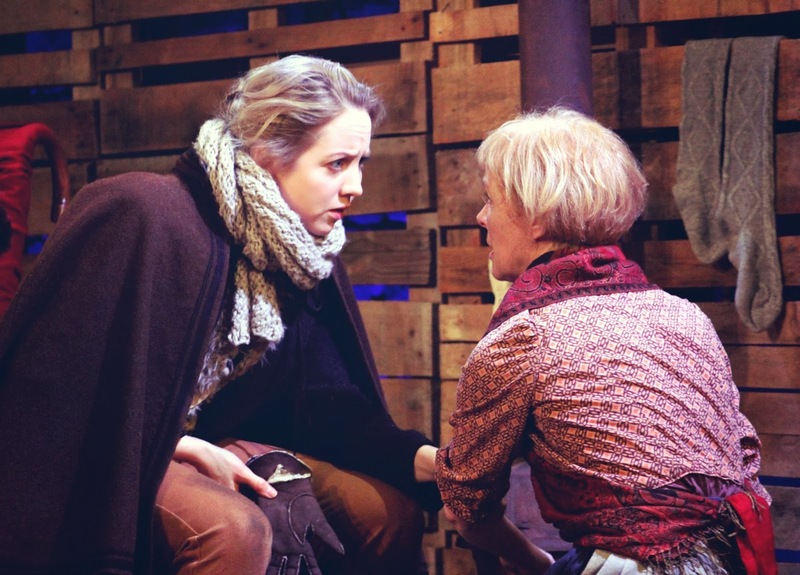 The piece is an interesting opportunity about three strong Irish Women who find themselves searching for the American dream in the new world only to be trapped in a desperate situation in the wild American west, quickly learning that nobody can be trusted. They are conned, and double crossed by each other and by those around them. The action takes place entirely within a sparse but lovingly minimalistic cabin but what would have helped was to understand the desperation of the situation. Perhaps a more claustrophobic production would have given a better sense about what the conditions were like. The cast look too lovely and healthy for a modern audience member to think this is the late nineteenth century desperation. And while the performances are strong, they don't help give a sense of their plight and how alien this world must be and how unconventional their existence is. It is surprising that for a lawless town more is not made of the vulnerability and isolation of the women. There are no men in the piece but they appear to be surviving. But still as a piece that shines a different light on a part of history and the role of women in it, it is quite intriguing. In Skagway was the winner of the Irish Playwrights and Screenwriters Guild Best New Play Award and the Stewart Parker/BBC Radio drama award. It was shortlisted for the Susan Smith Blackburn Prize. 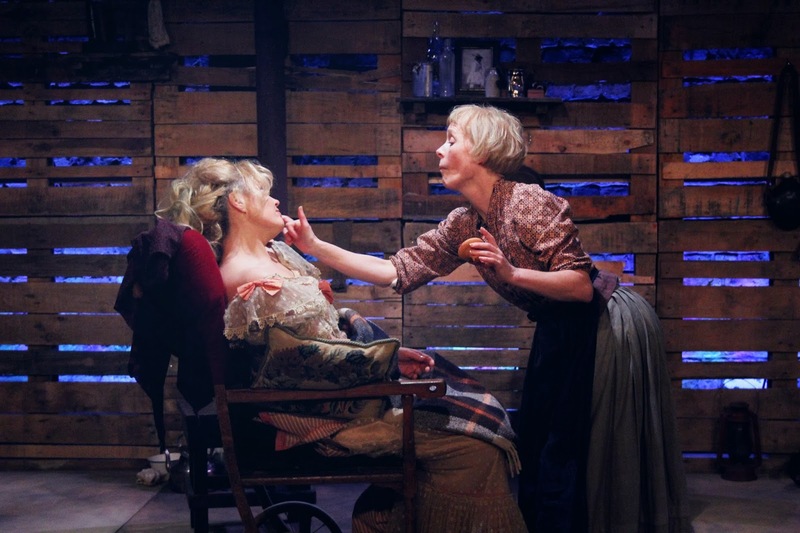 In Skagway runs at the Arcola Theatre in Dalston until 1 March.